What do places like China, Japan, Korea, Indonesia and South America have in common with our little corner of the gardening world? One answer would be the showy, colorful, flowering shrubs called hydrangeas which, though they are native to exotic, tropical regions of the globe, grow equally well here in Virginia. These globetrotting plants are perennial favorites among gardeners across the world, partly because this flowering shrub offers such a big bang for the buck: it’s generously sized, produces gorgeous flowers, and can offer winter interest. But the vast amount of information available on this topic can confuse even the most dedicated hydrangea enthusiasts. How do you distinguish mopheads from lacecaps? Do they need sun or shade? And what’s this business about influencing the color of the bloom based on the soil composition? There’s a lot to know. So here is a crash course to shrink this topic down to a manageable size, to help you choose the best version of this cosmopolitan shrub for your local landscape. You will be rewarded for your efforts with world-renowned, consistently beautiful blossoms for years to come. The flowering part of the hydrangea is called the inflorescence, and consists of a combination of large, showy blooms, and smaller, less-conspicuous flowers. The larger flowers are sterile while the smaller ones contain the fertile seeds. The blooms on different types of hydrangeas are distinctive from one another based on the arrangement and appearance of this combination of large and small flowers. They bloom in three distinctive shapes, known as mophead, lacecap, and panicle. Mopheads are large, snowball-shaped flowers. A few small flowers are present on the interior but are mostly hidden by the larger blossoms. Lacecap blooms are less compact and round; the lacecap’s flowers present in a flat cluster. Small flowers form the inner part, which is surrounded by an outer ring of the larger blooms. And panicles are cone-shaped rather than ball-shaped. Panicle hydrangeas are a mixture of sterile and fertile creamy-white flowers that can turn pink as the blooms mature. It’s helpful to identify and understand the four categories of popular hydrangeas which are marketed extensively in the United States, and do well in Virginia’s rich soil and moderate winters. HYDRANGEA MACROPHYLLA: These hydrangeas are the most commonly grown, and are good for adding big splashes of early summer pink or blue to shady or wooded areas. Common names include Bigleaf, French, Mophead, Lacecap, Penny Mac, and Hortensia. All will bloom and grow well in morning sun and afternoon shade. Endless Summer and Blushing Bride are two particularly special cultivars of macrophylla. They can flower on “old” buds (formed in the previous season) as well as on current season buds. This allows them to flower an average of 10 to 12 weeks longer than other Hydrangea macrophyllas. These proficient bloomers produce magnificent pink, grape, or blue blooms, depending on the pH of the soil and other soil conditions. HYDRANGEA ARBORESCENCE: Also known as Smooth Hydrangea, Wild Hydrangea, or Sevenbark, this type of hydrangea is a small- to medium-sized shrub with large serrated-edge leaves that flowers May through July. Anabelle is the best-known variety of this species and is the most cold-hardy of the hydrangea family. Another popular cultivar is called Grandiflora that has large flowers resembling snowballs. The bark on the stem of this type of hydrangea peels off in several thin layers, revealing a different colored bark each time, hence the name Sevenbark. HYDRANGEA QUERCIFOLIA: This variety, (also called Oakleaf) tolerates hot summers and dry conditions, so it does well in Virginia even after years of drought. They produce big, showy flowers from spring to summer that tend to turn pinkish as the blooms begin to fade. They are named Oakleaf because they are the only member of the hydrangea family to develop significant fall foliage color. Their large, distinctive leaves change from green in the summer to brilliant shades of red, orange, yellow, and burgundy in the fall. Common and popular varieties include Snowflake, Harmony, Snow Queen, Alice, Sikes Dwarf, and Peewee. Oakleaf hydrangeas generally grow 6 to 8 feet tall. The most compact variety is Sikes Dwarf, which makes it a good choice for smaller gardens. PANICLE HYDRANGEA: This variation is the most cold-hardy member of the hydrangea family. They need several hours of daily sun to do well. Panicle hydrangeas produce large creamy white panicles in midsummer and grow 10 to 15 feet tall. It is the only type of hydrangea that can be pruned into the form of a tree. One particular favorite among many panicle hydrangea lovers is a variety called Pee Gee. The name comes from the first letters of its proper name—Paniculata Grandiflore—but “Pee Gee” has become the generic name for all panicle hydrangeas. 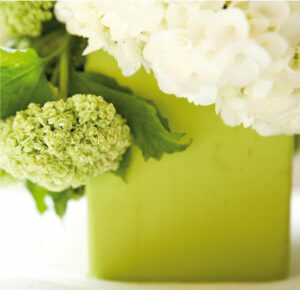 Another favorite among hydrangea growers is called Limelight, which can be grown almost anywhere in the country. Do not plant hydrangeas too deeply. Plant at the same depth the hydrangea was planted in the pot. Supplemental moisture is especially important the first year or two, and during droughts. But be careful not to overwater, especially in clay soil. Although the first part of this plant’s name is “hydra” (Greek for “water”), hydrangeas are very susceptible to root rot. Some indicators of overwatering are large leaves and few flower buds; overwatering can slow the formation of flowers considerably. Better to water liberally less often, than water a little at a time, too frequently. Transplant hydrangeas in late fall to winter when they are dormant and have lost all of their leaves. Most hydrangeas do well in filtered shade. The exceptions are the panicle varieties, which need more sun. Keep in mind, however, that hydrangeas typically do not do well too close to trees. There is often insufficient light directly under trees for hydrangeas to thrive. Tree roots are another problem because they can draw from the soil much of the moisture and nutrients that the hydrangeas need to thrive. 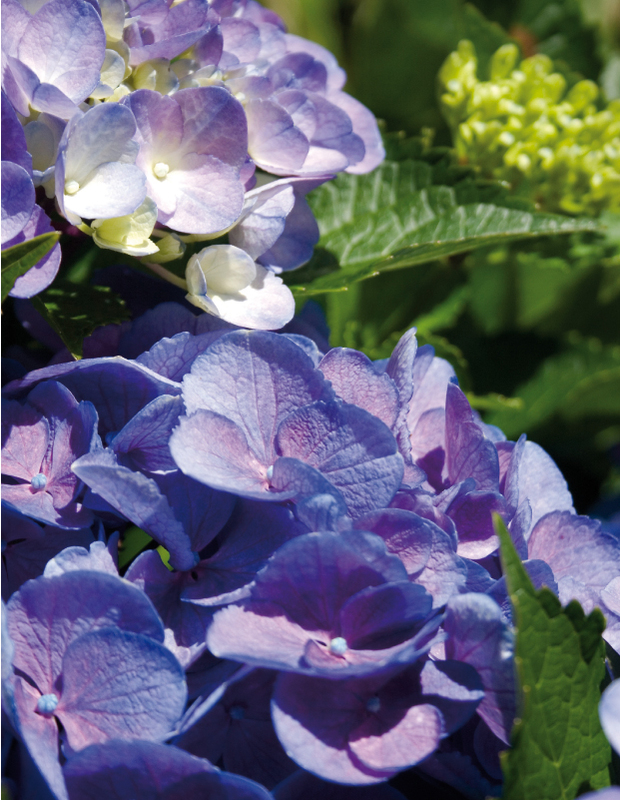 Although white flowers cannot be changed, it is possible to influence the color of pink or blue hydrangea blooms by controlling the pH levels of the soil. It’s important to understand that flower color is primarily influenced by pigment in the plant, and the pigment is influenced by the soil pH. According to the Virginia Cooperative Extension, blooms will be blue on a plant in relatively acidic soil (soil pH of about 5.0 to 5.5). At soil pH values higher than 6.0 to 6.5, the flower color will be pink. Soil pH in the range of 5.6 to 5.9 produces flower colors that intermediate between pink and blue. The cause for this phenomenon is the availability of aluminum in the soil. Simply put, for hydrangea blooms to be pink, the plants must not take up aluminum from the soil. If the soil naturally contains aluminum, you can add lime to help keep the aluminum away from the root system and to raise the pH. Since hydrangeas take up aluminum best at lower pH levels, raising the pH will help to keep the bluing effect of aluminum out of the hydrangea’s system. To make the aluminum available to the plant, the pH of the soil should be low. Adding aluminum sulfate tends to lower the pH of the soil. 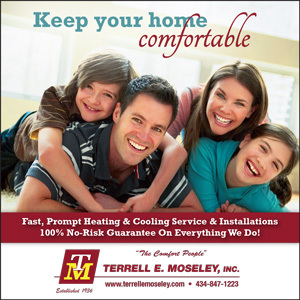 Another method for lowering the pH is to add organic matter to the soil, such as coffee grounds, fruit and vegetable peels, and grass clippings. Hydrangeas may even change color on their own as they adjust to their environment after being planted or transplanted. 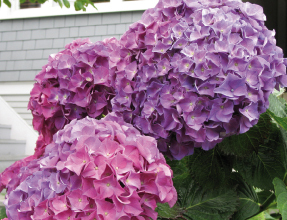 Hydrangea lovers can also affect the color by using different fertilizers. A fertilizer with high levels of phosphorus will help keep aluminum from the plant’s root system and help the flowers stay or turn pink. A fertilizer low in phosphorus and high in potassium is helpful in producing a good blue color. Also keep in mind that hydrangeas grown in containers give you the most amount of control over the soil and the color of the flowers. Besides affecting color, the use of fertilizer to boost the health of hydrangeas is a matter of preference among seasoned gardeners. Some will say that new hydrangeas planted in rich, loamy soil may not need fertilizing the first year. Older plants may benefit from fertilizing, which can be done using slow-release, or fast-release chemical fertilizer for shrubs and trees. Always apply according to the manufacturer’s directions. If you prefer to skip the commercial fertilizer, consider a combination of sulfur, compost, and peat moss. Like fertilizing, pruning is another issue that can cause confusion or dispute among gardeners. Some experts believe that it is not necessary to prune hydrangeas at all if the plant is doing well and has sufficient space to mature. 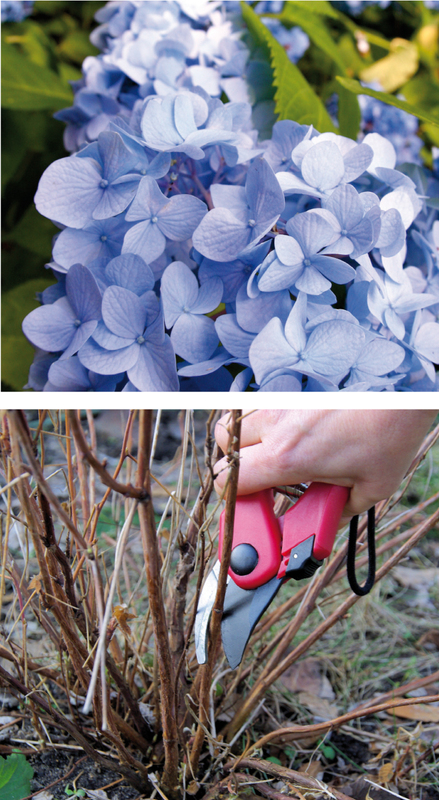 If the plant becomes too large or unruly, then pruning is in order—but not all varieties should be pruned at the same time. Those that bloom on “old growth” should be pruned right after they are finished flowering. In other words, most mophead hydrangeas “set” their bloom buds in late summer and early fall—so pruning this late could mean inadvertently removing next year’s blooms. Others, like the Endless Summer variety, have the remarkable ability to bloom on both old and new growth, and can be pruned before they wake up in spring or as they are going dormant in fall. Hydrangeas are a wonderful choice for flower beds, woody areas or flower pots. These sweet, versatile plants will reward you with big blooms year after year, with minimal investment of time and energy.